SAN DIEGO, Calif. /California Newswire/ — Auto makers and banks aren’t the only big businesses suffering in today’s grim economy. Declining sales have forced major book publishers to severely cut back on staffing and drop many of their regular authors. 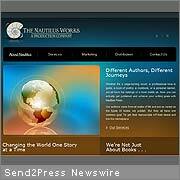 Once considered a dirty little secret of the publishing industry, vanity presses and self-publishers like Nautilus Press, a division of the Nautilus Works (thenautilusworks.com), are undergoing a renaissance as authors search for new homes and alternatives to large, corporate-owned publishing houses. Offering a broader range of services and using new technologies that make self-publishing more economically feasible than in the past, Nautilus Press has seen a large increase in business in today’s rapidly changing and unsettled bookselling environment. “Almost everyone thinks they have a book or two in them,” says Sarah Ryan, vice president of Nautilus Press. Industry experts estimate that over two million Americans will write a book this year. Less than 100,000 of these books will be published by traditional publishers, according to various reports. “We are lucky to have a current backlog of worthy projects and a mile-long waiting list. Even in today’s difficult economy, we haven’t seen a decrease in the number of people who are interested in writing,” says Ryan. “In addition to already-published writers who have been abandoned by their current publisher, author-supported publishing is attractive to professionals who want to use their book as an enhanced business card or promotional piece and to people who are creating books as gifts for family and friends,” Ryan added. In explaining the rise in sales of self-published books, some industry experts think that books tailored to narrower audiences might fare better during an economic downturn than titles from traditional publishers that depend on a more general appeal. “A lot of this niche content is doing fairly well relative to the rest of the economy because it’s very useful to people who have a very specific need,” said Aaron Martin, director of self-publishing and manufacturing-on-demand at Amazon.